Borer Drill Diameter : 35mm / 1.4";Shank Diameter : 9.6mm / 0.37"
Precision ground for heavy use and easily resharpened, they can enlarge existing holes with ease and can bore any arc of a circle. Carbide tip is specially designed to through hole cleanly in end grain and thin stock, great for boring concealed hinges and door clocks. 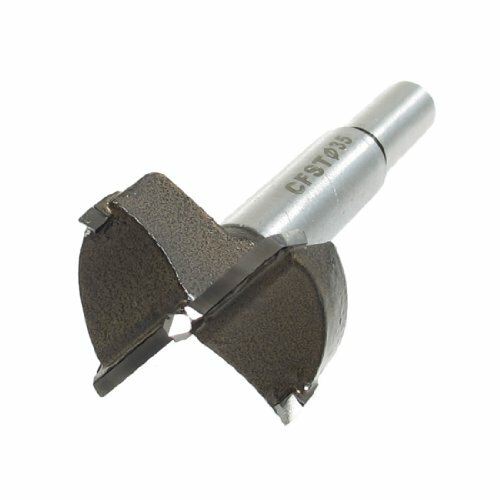 It is far safer and more accurate to use this drill bit in a drill press.